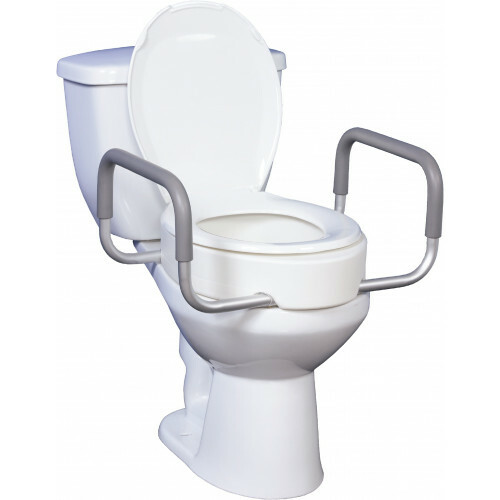 A raised toilet seat is often a necessity for those who have mobility needs. 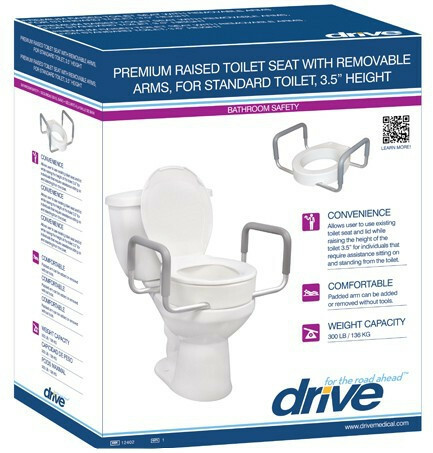 The Premium Raised Toilet Seat with Removable Arms, by Drive Medical, takes it further by adding safety handles that are fastened to the side of the seat. 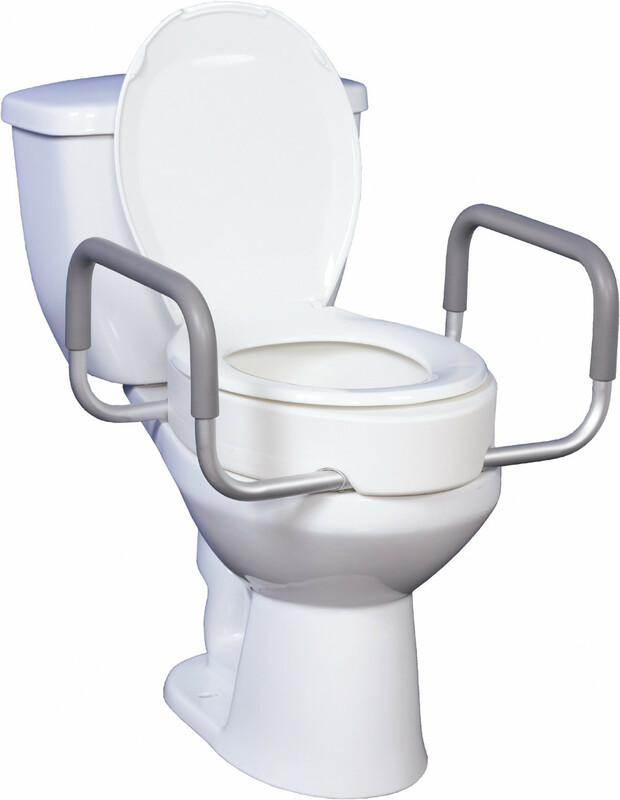 The handles and raised toilet seat will make the toilet more accessible for those who have difficulty sitting down and getting up. This mobility aid is made of sturdy, tubular aluminum and rigid plastic. The arms have a cushiony grip to prevent any slipping. The arms can be taken off without the use of tools. They are held by a simple, yet strong mechanism that involves a brass push button that allows the arms to slide on and off. The button will pop through the position hole when the arms are locked and ready for use. The toilet seat is constructed of molded, heavy-duty plastic that keeps the product light as well as durable and easy to clean. The construction is so sound that, for the user's piece of mind, Drive Medical gives the product a limited lifetime warranty. Padded Arms Provide Better Grip. Users will be able to use their old toilet seat. Two Sizes: Standard and Elongated Toilets. The arms are easy to install without tools. The arm holds further assist those who have difficulty getting up and sitting down. The toilet seat and arms are made of durable materials that will hold up to wear and tear.